Liquiline CM44 and CM44R Transmitters comes with heartbeat technology. Unit can perform hearbeat diagnostics, monitoring and verification functions. When connected to PLC, SCADA or control system, this technology offers sensor information for identifying trends. 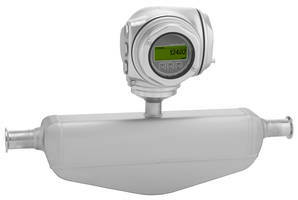 Transmitters provide heartbeat monitoring information via Profibus DP, EtherNet/IP, Modbus TCP or Modbus 485 protocols. Endress+Hauser offers Heartbeat Technology with its Liquiline CM44 and CM44R transmitters for use with Memosens pH and conductivity sensors. Heartbeat Diagnostics’ continuous analysis of transmitter/sensor system health status during operation enables recognition of related events when they occur. Heartbeat Diagnostics follows the NE-107 standardized NAMUR-compliant message structure for categorized event severity level with clear remedy instructions provided for operations or maintenance. Heartbeat Monitoring minimizes the probability of a sudden breakdown or failure of the measurement point, and helps define when maintenance may be needed. For example, detecting increased glass impedance in the pH sensor may indicate glass breakage. In a conductivity sensor, if the coil current is out of range, this may indicate a short circuit or broken wire in the sensor. Monitoring function benefits are sensor health trending, tracking the quality of calibrations and integrating a maintenance timer to ensure optimal sensor performance is delivered. Heartbeat Verification permits a measurement point to be assessed at any time in situ, without removing the sensor or shutting down the process. This qualitative function checks the entire measurement loop, verifying sensor and transmitter performance. Verification results are provided via an audit safe report automatically generated by the transmitter. The report is saved in PDF format and can be preserved on an SD card for transfer to a computer. These reports can be used when regulatory, quality or safety documentation is needed. When the Liquiline transmitter is connected to a PLC, SCADA or distributed control system via fieldbus digital communications, Heartbeat Technology provides the host system with a wide range of sensor information that can be combined with process data to identify trends. This information, along with key performance indicators can be used for process optimization and predictive maintenance. 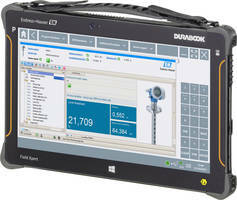 Heartbeat Monitoring information is available over Profibus DP, EtherNet/IP, Modbus TCP or Modbus 485 protocols. 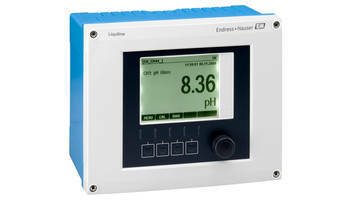 For more information visit www.us.endress.com/Heartbeat-Technology-analytical.